It is well established that carrots are a healthy food. They contain important nutrients such as alpha- and beta-carotene, vitamins B and C, plus calcium, iron, and potassium. 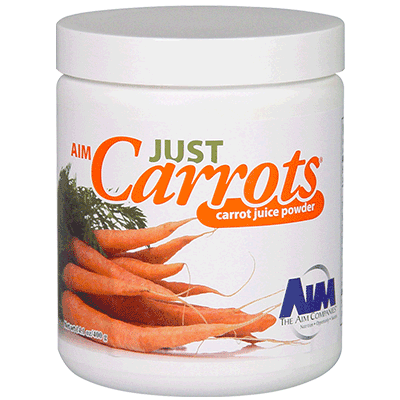 With its natural form of beta-carotene, AIM Just Carrots® can be a strong foundation for your good health. The body changes beta-carotene into a natural source of vitamin A, which is essential for strengthening the immune system and promoting healthy cell growth. Just Carrots is 100 percent natural, with no added sugar.